Have you walked or biked through the $240 million Antelope Valley Project lately? If you have, you probably saw signs that water running through the channel has been pretty high lately. 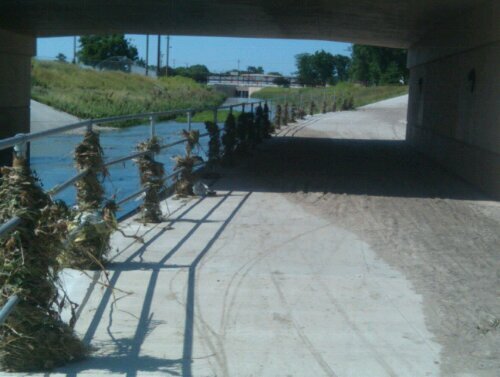 As I rode bike under one of the bridges recently, I was surprised to see seaweed and other vegetation wrapped around the railing along the side of the path — indicating the water had been so high it was covering the bike path and then some. As you ride farther north, you can also see how high the water has been in the channel from the flattened vegetation. I asked Antelope Valley project coordinator Kris Humphrey how high the water has been during this stormy summer, and she said from what she could ascertain, the Antelope Valley has handled a 10-year rain event — which is a storm that has a 10 percent chance of happening annually. Not that big of a storm, really, considering the project was designed to handle 100-year flooding, I believe. The channel must get pretty full for a 100-year or 500-year flood. 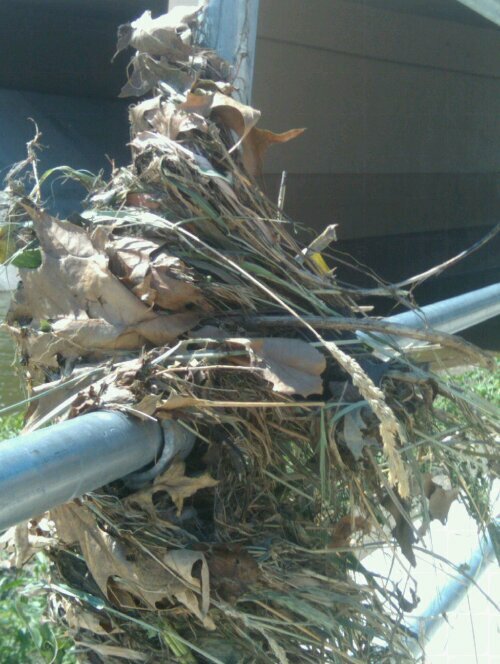 Vegetation got caught up on a railing in the Antelope Valley Project, showing how high the water has gotten in recent stormy weeks.